After drawing the first Grand final with St Kilda, Collingwood dominated the replay to win by 56 points. 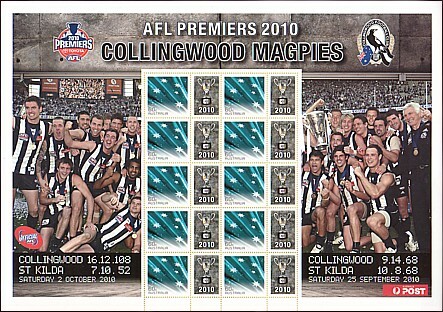 Australia Post continued tradition and released a Premiership Medallion cover and a Souvenir Stamp Sheet to commemorate the win. 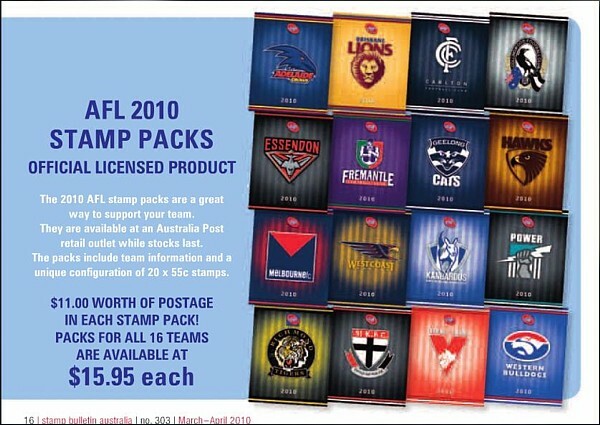 The annual AFL Issue for each club was announced in AP Bulletin 303. The issue date is only given as March 2010. The advertisement explains the contents of the issue.